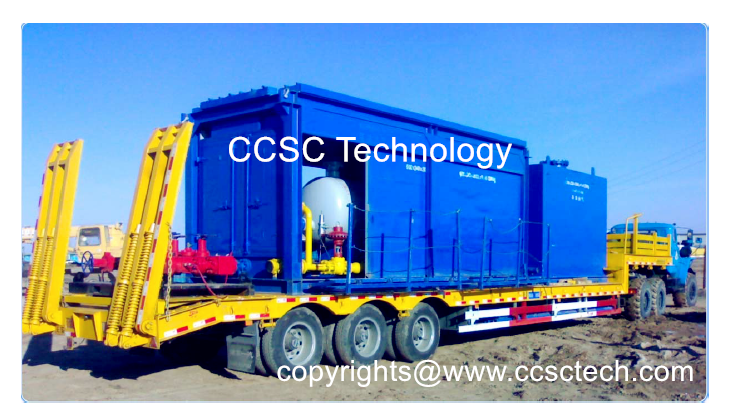 Our CCSC technology modular trailer mounted well testing equipment are improved from EXPRO and Schlumberger, the Design codes are ASME VIII Div.1 / ANSI B31.3 / Nace MR-0175, API spec.6A and API spec.16C etc. 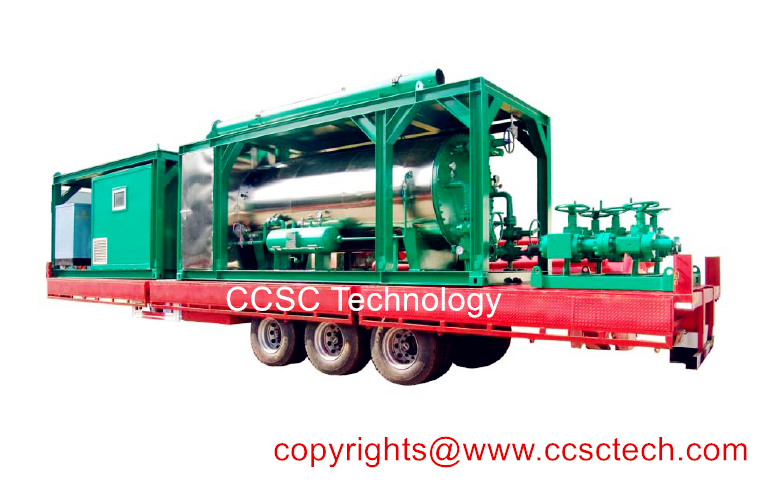 Trailer mounted well testing system can be designed as customer’s requirements and usually consist of (Emergency shutdown system) ESD, (Surface safety valve) SSV, sand filter/sand trap, Upstream data head, Chemical injection pump, choke manifold, downstream data head, MSRV, heat exchanger, steam generator, 3 phase well test separator, diverter manifold, gauge tank, burner Head, surge tank, oil transfer pump, gate valve, choke valve, spools, plug valve, union flange,H2S pipe works, washing tank etc. .
We CCSC technology are dedicated to improving efficiency and safety in field operations, all kinds of modular trailer mounted well testing equipments can be designed and manufactured according to user’s requirements. CCSC TECHNOLOGY & CCSC PETROLEUM EQUIPMENT CORP., LTD is not an authorized agent or sales representative of EXPRO and Schlumberger.